This 20 credit module is the first of three modules that combine to make up the Advancing Practice short course at degree level. It can be accessed as a standalone module but it is recommended that the greatest benefit from this module is gained when completed as part of the full course. Successful completion of this module will enable you to advance your practice in the provision of high quality, patient-centred care, appraising risk leading on the development of complex patient pathways to deliver safe care. This module will build on your prior experience of practice and personal development planning across various areas of healthcare and your ability to apply current research to your practice. You will also examine the legal and ethical boundaries of advancing practice and accountability of practice on personal, professional and strategic levels. If you would like to undertake this module at masters level please see ‘Advancing Practice in Context’. compare and contrast between the legal and ethical framework of different health care roles within the NHS and the wider health community. analyse clinical risk management strategies, and assess their impact on patient safety and how this affects the role of the competent practitioner. identify and critically interpret the professional issues relating to own practice role. compare and contrast a range of safeguarding and working with vulnerable people policies to predict potential conflicts within the health care communities and patient groups. evaluate the applied processes of selected complex and integrated care pathways and examine how they can enhance or hinder partnership working. 2. engagement in a blog. Delivery one: 12, 19 and 26 September and 3, 10 and 17 October 2018. Delivery two: 9, 16, 23 and 30 January and 6 and 13 February 2019. This module can be studied as a standalone module, as a core module towards the BSc (Hons) Professional Development in Advancing Practice or as an optional module towards some other BSc (Hons) Professional Development pathways. It is also the first of three modules that combine to make up the Advancing Practice short course at degree level. "This new and innovative short course has been designed to give clinicians the opportunity to study with other health care professionals wanting to pursue a clinical career in advancing their own practice. It ensures that the clinicians have not only the necessary clinical skills but have a deep and meaningful understanding of all issues surrounding advancing practice. The NHS of today and tomorrow needs a well-educated, integrated workforce to meet the healthcare demands of the 21st century. Come and join us on this exciting journey, I look forward to meeting you." 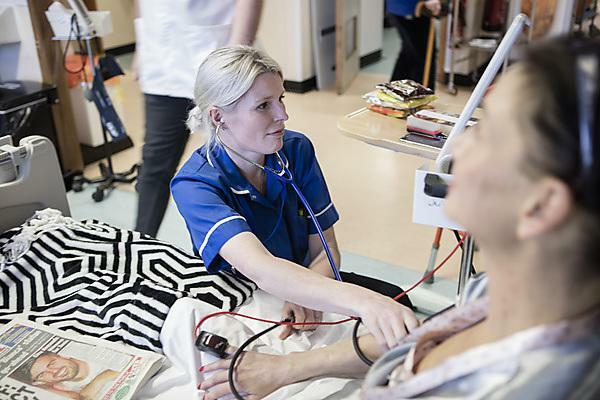 This short course of 60 credits at degree or masters level is aimed at registered healthcare professionals currently in practice who wish to enhance their knowledge and gain a qualification at the same time. be a registered practitioner working in an area of practice that will allow you to meet the module outcomes. in possession of previous study at level 5 (Diploma of Higher Education) or a foundation degree to study the module at degree level. This module is commissioned by Health Education England and you may, therefore, be eligible for funding through your employing trust. The module lead is Catherine McDougall.